Fresh Berry Burst Flowers made by Handy Flowers! 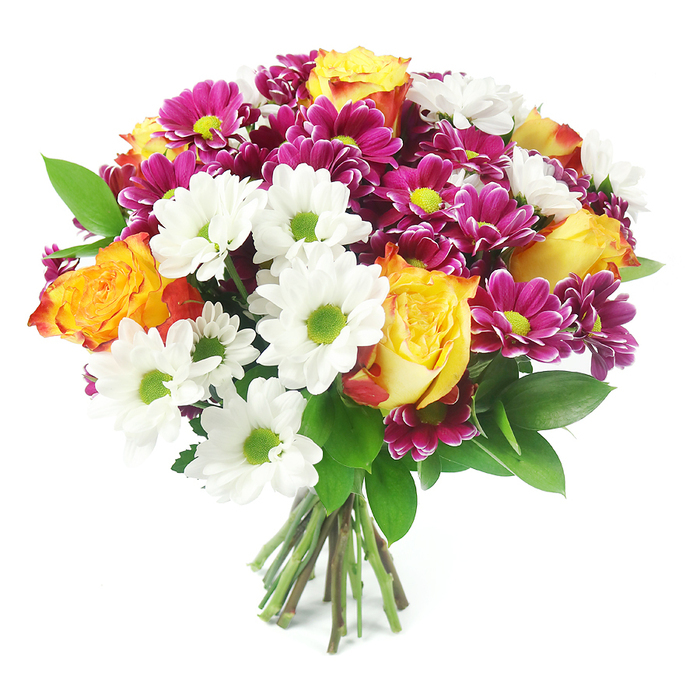 The perfect way to say “I Love You” with our bright bouquet of peach roses and purple sprayed chrysanthemums, that comes beautifully arranged by our best florists and will for sure put a smile on any loved one’s face! The flowers available on the online flower shop are so cheap! Considering how beautiful they are! Thanks for my delivery! The florist who spoke to me on the phone when my flower delivery service was delayed by a few hours. She was so kind to me! They're definitely a great company with amazing flowers.